The benchmark BSE Sensex cut down its early losses to rebound by 79 points in late morning trade following fresh buying in power, healthcare, oil & gas, IT and realty sectors amid recovery in other Asian markets. However, continued selling was witnessed in capital goods and banking sectors. The BSE Sensex resumed slightly higher at 26,063.27 and moved in a range of 25,687.69 and 26,156.61 before quoting 26,111.52 at 1045 hrs, a gain of 79.14 points or 0.30 per cent from its last close. 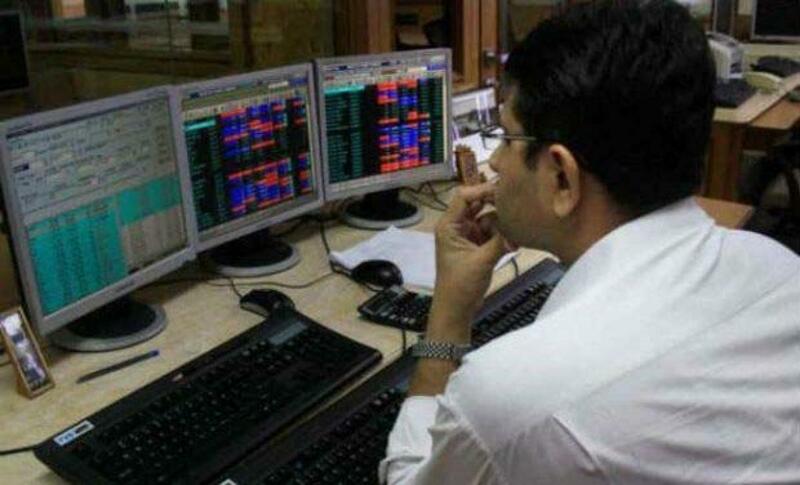 The 50-share Nifty was also trading higher by 45.15 points or 0.47 per cent to 7,925.85 at 1045 hrs. The market is expected to remain volatile in the near future as traders roll over their positions in the futures & options (F&O) segment from the near month August series to September. The near month derivatives is set to expire on August 27. Major gainers were, lupin by 3.04 per cent, Wipro 2.41 per cent, RIL 2.25 per cent, GAIL 1.87 per cent, NTPC 1.68 per cent, TCS 1.66 per cent and Coal India 1.60 per cent. However, Hero MotoCorp fell by 3.13 per cent, BHEL 1.27 per cent, Bharti Airtel 1.10 per cent, HDFC 0.97 per cent, SBI 0.79 per cent and ICICI Bank 0.78 per cent. Foreign investors sold shares worth Rs 2,080.01 crore on August 25, as per provisional data. In overseas markets, Asian stocks were trading higher in early trade. Key benchmark indices in China, Singapore, Hong Kong, Japan, Taiwan and South Korea were up by 2.72 per cent to 0.56 per cent. Overnight, the US stocks relinquished all of the opening gains by end of the session and close with sharp losses as concerns about China's economy outweighed lower valuations that some earlier saw as bargains.